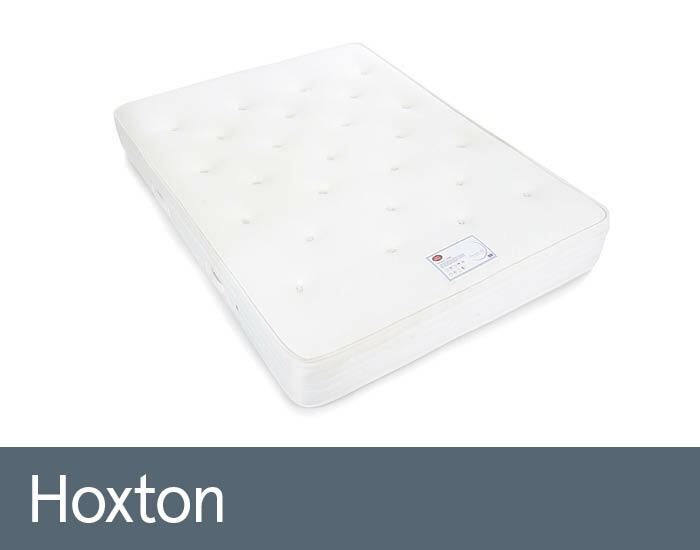 The Hoxton mattress from Sweet Dreams has 2000 pocket springs providing individual support to the sleeper. The upper layer of springs shape to the body contours while the lower layers absorb changes in weight distribution for the ultimate in comfort and support. The mattress was produced using traditional tufting method and all fillings from top to bottom were secured by hand. Side-stitch border extends the sleeping area by supporting the mattress walls. Four handles are placed on both sides of the mattress for ease of positioning. The air vents in both sides of the mattress ensure that the mattress breaths and maintains a fresh and dry sleeping environment.